We’ve seen this before. Back in 2009 the Pittsburgh Penguins were sluggish during the season. They made a coaching change and then low and behold the ended up hoisting the Stanley Cup in June. That same formula happened this year with Mike Sullivan being hired in the middle of the season to kind of wake this team up. They headed into the playoffs with the best record in the NHL after the All-Star break and were an early favorite. Pittsburgh easily defeated the New York Rangers in 5 games. Washington was the team to beat in the Eastern Conference and the Penguins took them out in 6 games. Tampa Bay gave them their toughest test in the conference finals going to 7 games, but that’s where it was clear that their claim to fame in these playoffs would be their defense. The San Jose Sharks were the hottest team in the playoffs going thru the Western Conference with little resistance. The way the Stanley Cup Finals started, the first two games could have been won by the Sharks. It was close for every game, but the Penguins defense was able to stifle the Sharks vaunted attack, including their power play which only converted once on twelve tries. The ‘HBK’ line that included Carl Hagelin, Nick Bonino and Phil Kessel was a big reason why the Penguins offensive attack was so hard to stop. Sidney Crosby (2016 Conn Smythe Winner) and Evgeni Malkin will get their opportunities, but that ‘HBK’ line was something special to watch. Matt Murray certainly proved that at 22 years old he is more than ready to take a team to the Stanley Cup title. Replacing at the time the injured Marc-Andre Fleury, Murray ended up giving Pittsburgh a reliable goalie. Kris Letang proved why he should be in the conversation among the best defensemen in the NHL. 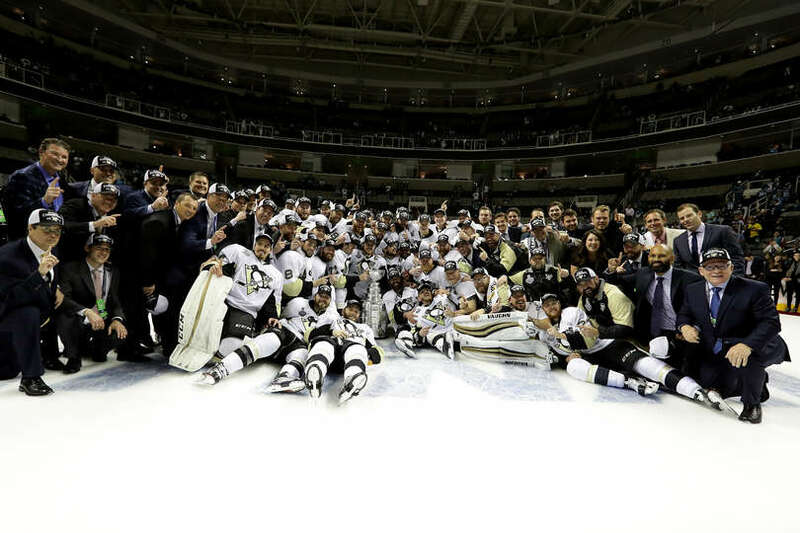 All around from top to bottom the Pittsburgh Penguins could plug in some newcomers, youngsters and sly veterans to a group that knows what it takes to win a Stanley Cup. Congratulations to Pittsburgh on hoisting their fourth Stanley Cup title. This entry was posted in Hockey and tagged Hockey, NHL, Penguins, Stanley Cup, Stanley Cup Champions, Stanley Cup Final, Stanley Cup Playoffs.